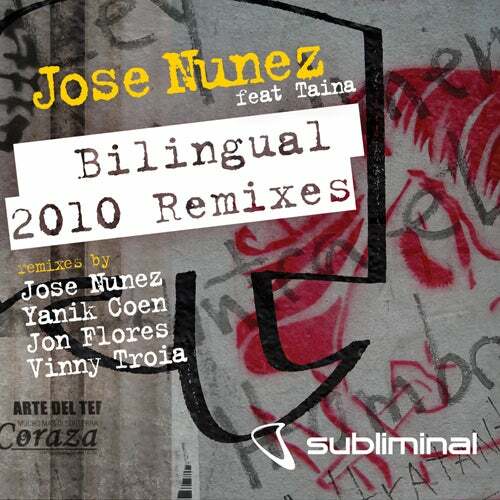 Subliminal deliver yet another essential update and this time round it’s Jose Nunez's club banger from '04, ‘Bilingual’. All mixes are primed for the dance floor, taking that sultry spoken-word vocal and laying fresh foundations of beats and synths. Jose himself delivers a smashing number while Yanik Coen's Acid and Miami mixes flirt recklessly with old school and progressive sounds respectively. Jon Flores concentrates on big pounding drums and slick snares while the Vinny Troia remix has big, main room house written all over.